Chris Jones, bem conhecido virtuoso da guitarra desde a Nautilus Tour 2002, apresenta-se no seu novo album a solo também como compositor e vocalista impressionante. O brilhante guitarrista de Reno, Nevada, faleceu demasiado cedo em 2005, e o seu último album com a Stockfisch de 2003 estabeleceu-se nestes anos como o standard audiófilo para testes e sessões de demonstração. Chris Jones, the brilliant guitarist from Reno, Nevada, sadly passed away much too early in 2005. His last album with Stockfisch from 2003 has posthumously been established over the years as a de facto standard for listening tests and demo sessions. 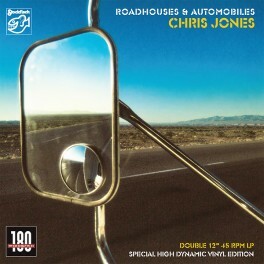 Songs like 'No Sanctuary Here' are used by live mixers for checking the stage PAs, pieces like 'Fender Bender' have repeatedly inspired guitar, bass and drum trios, the title song 'Roadhouse & Automobiles' has a warm, intense width, which captivates the listeners. Lothar Brandt in his review for German magazine STEREOPLAY 1/2004: "A musical masterpiece - The voice sounds mega-present, the guitar appears extraordinary contoured and corporeal, the accompaniment is in such a way vivid, ...an inveterate fan of analog sound will take his hat off." For all of those who like the analog sound, Stockfisch now releases Roadhouses & Automobiles on Vinyl as a 180 Gram, 45rpm, Double LP, mastered at Pauler Acoustics. Chris Jones, well-known from the Nautilus Tour 2002, where he appeared as a guitar-virtuoso, arises on his new solo-Album as a productive songwriter and impressive vocalist. 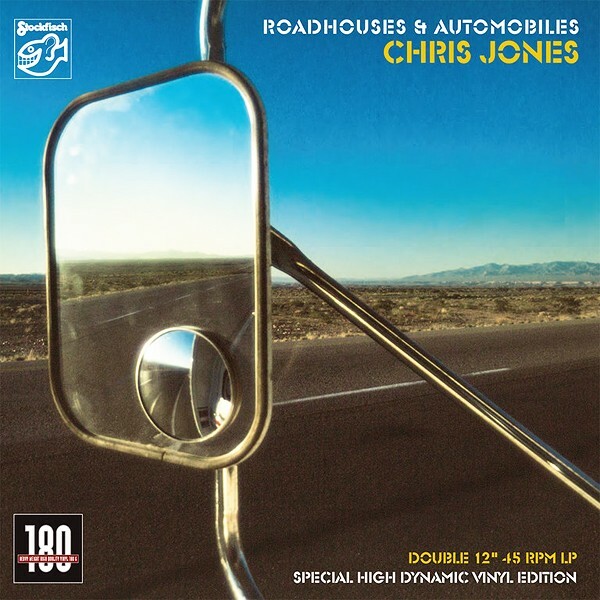 Listening to Roadhouses & Automobiles is really a lot of fun: A Ry Cooder-sound (with tuba und trumpet), Appalachian-style, gurgling solos on the Hammond-organ, outstanding virtuoso instrumentals (unedited!!) and many more – Chris Jones at his best!